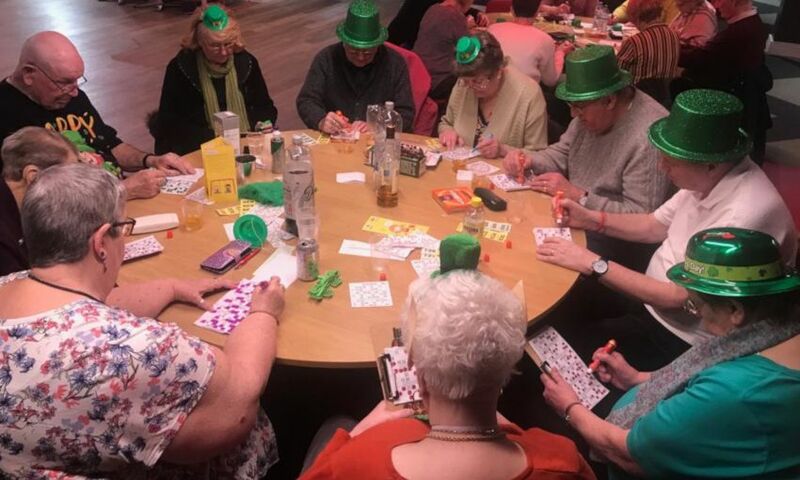 Anfield's Reds lounge was turned green as local residents dressed up in Irish hats, green scarves and ties to enjoy an Irish themed game of Bingo as well as their usual raffle and musical entertainment. The Irish theme continued throughout the afternoon with the pensioners enjoying a sing and dance to traditional music played on the accordion. Monday Club is a monthly initiative which sees care home residents and elderly locals come together to enjoy socialising and activities with like-minded people, in a bid to tackle social isolation. Support for the elderly community is one of the four main areas of focus for Red Neighbours, alongside memorable experiences for young people, food poverty and education, and encouraging a physically active community. The next Monday Club will take place on April 8, at 1pm in the Sir Kenny Dalglish Stand at Anfield.